Last Updated: April 17, 2019 · Published: June 13, 2018 By: Asian Caucasian Leave a Comment This post may contain affiliate links or sponsored content. What are you dreaming up for your party guests this summer? We’ve got you covered! 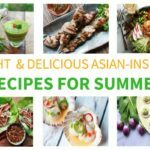 Asian Caucasian has dished up some perfect Asian-inspired summertime roundup recipes that are light, healthy and delicious! From salads to grilled dishes to chilled soup, you’ll be craving these recipes for years to come, and they are incredibly easy to prepare! No sweating in the kitchen all day. Starters, main courses, snacks, we’re on it! You can get creative with these recipes as well, so feel free to change up the protein, veggies, and sauces. So freakin’ versatile! 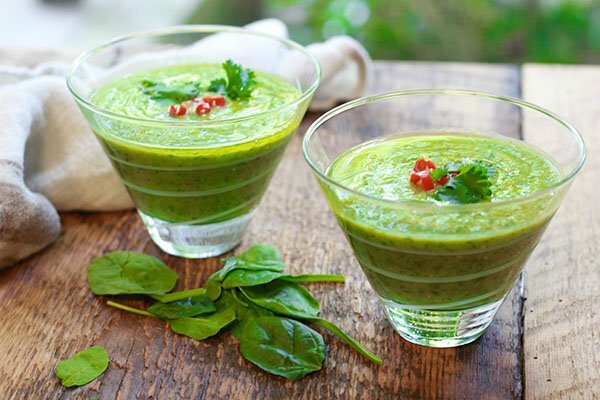 #1: Mean Green Gazpacho is a vibrant chilled soup that hits the spot as a starter. No cooking required, it’s a blend of avocados, cucumbers, tomatillos, basil, cilantro, and baby spinach. Told you is was mean and green! #2: This dish is a blog fave! 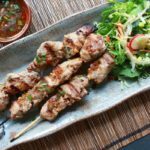 Our Vietnamese Grilled Tenderloin Pork Skewers are melt-in-your-mouth tender when grilled, and the marinade is truly EPIC! 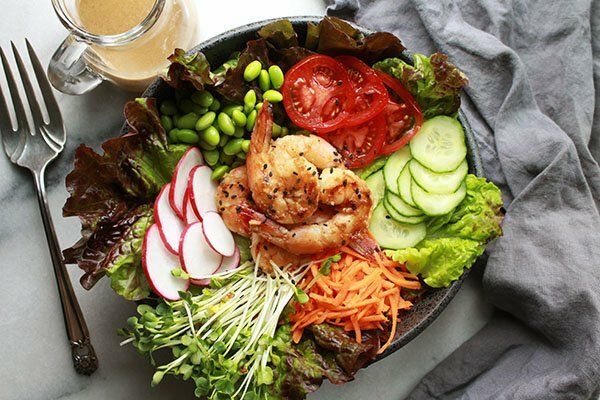 #3: This gorgeous Grilled Miso Shrimp Garden Salad will fulfill all of your summer salad cravings! It’s heavenly! 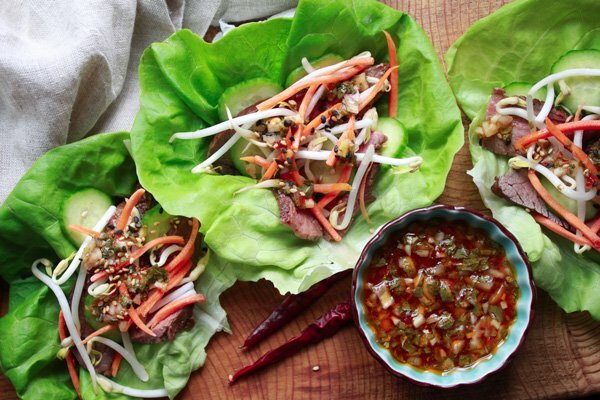 #4: These Grilled Flank Steak Lettuce Cups are the perfect lettuce-wrapped meal and are a cinch to make. 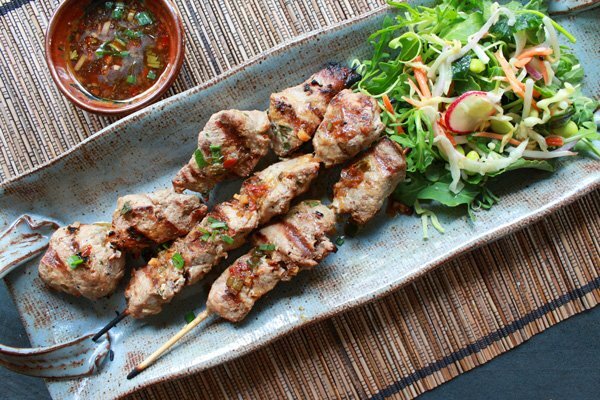 They are incredibly flavorful and oh so healthy, especially with the Nuoc Cham Dipping Sauce! 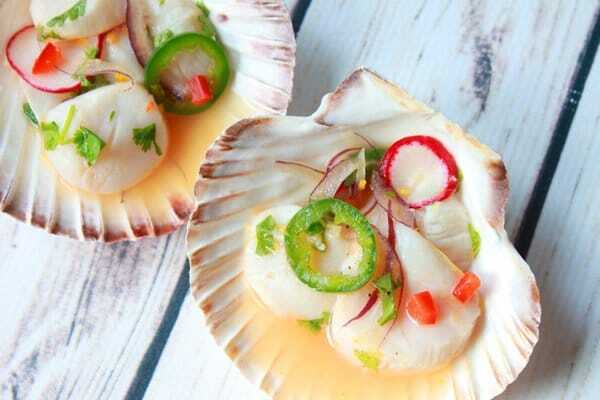 #5: Have you ever seen anything more beautiful than these Spicy Scallop Crudo shells? This appetizer looks so fancy-schmancy that your dinner guests will think you hired a private chef! Nope, it’s all you! 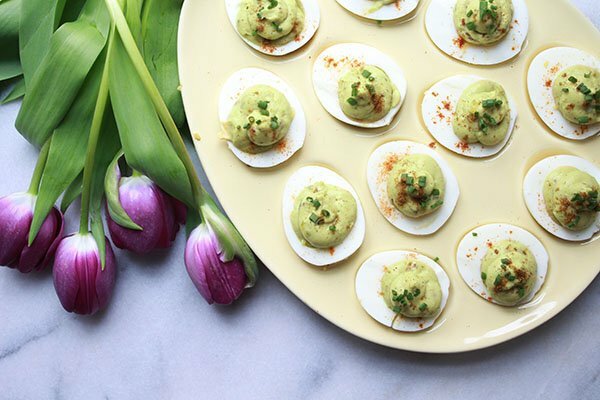 #6: Last but not least, our Spicy Avocado Deviled Eggs are so creamy and have ZERO mayo, which means “healthy snack!” You’ll love the kick from the Thai chili paste. 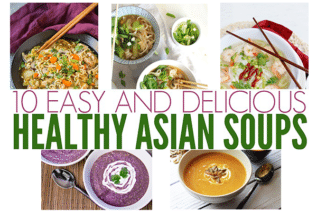 If you liked these recipes, try our 10 Easy and Delicious Healthy Asian Soups.